I’ve been making waffles and pizza for dinner. I’ve been making waffles sandwiches for lunch and drinking beers in the backyard after work. I’ve had key lime cookies in my oven and powdered sugar on my outfit. And don’t worry, these guys live up to their name. They truly melt in your mouth. Thank goodness. I’d hate to eat lying cookies. Using an electric mixer, beat together the butter and 2 1/2 tablespoons powdered sugar. Add the zest, juice, and vanilla. Beat until combined. In another bowl, whisk together the flour, cornstarch and salt. Add to the buttery ingredients and mix with your electric mixer until a dough forms. 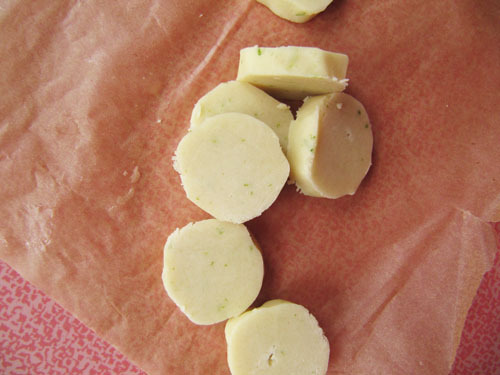 Place dough on an 8×12 inch-ish sized piece of parchment paper and roll into a log about 1 1/4 inch in diameter. Chill at least one hour, or for 30 minutes in the fridge and then 10 in the freezer. Preheat your oven to 350F, and line two baking sheets wit parchment paper. 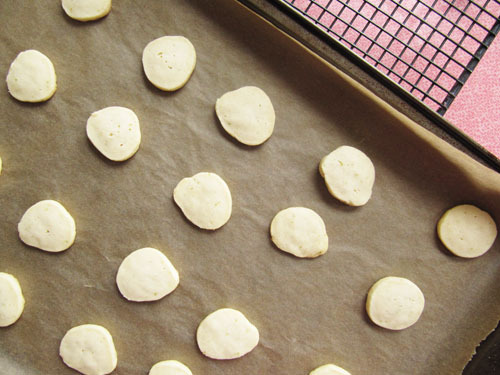 Slice dough into 1/4-inch rounds and place on the prepared baking sheets about an inch apart. Bake until barely golden, about 12 minutes. Transfer cookies to a wire rack. Place the remaining 2/3 cup powdered sugar in a sealed bag. Cool the cookies for 5 minutes, and while they’re still warm place cookies the sugar-filled bag and toss to coat. Bake remaining dough. Store cookies in an airtight container for up to 2 weeks. Rumor has it they get even lime-ier tasting the longer you have them. Sliced and ready to bake. Feel free to sample at this point. My husband LOVES lime anything. I am definitely going to make these soon. Shucks! I hope you love them, though! Lyin’ cookies are the worst! Waffles and backyard beers are the best though! Good thing these cookies are honest b/c they sound amazing! 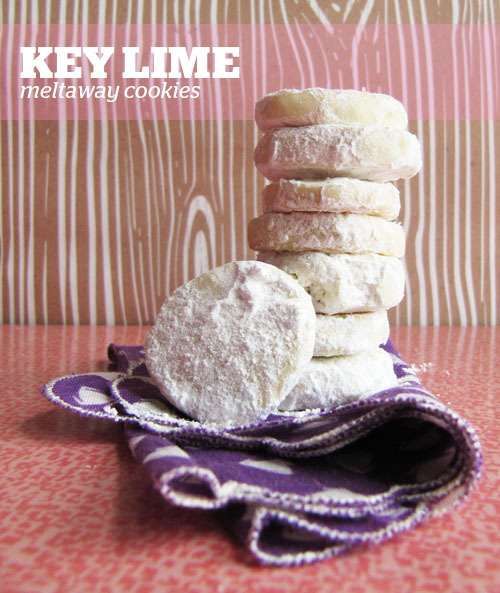 I love anything key lime, but I’m having trouble finding them? Where did you buy yours? Thanks! They’re from Holiday Market in Royal Oak! Regular limes will work too. Yes! Or if they were orange with lemon sorbet ice cream sandwiches?! The more citrus, the better, right? 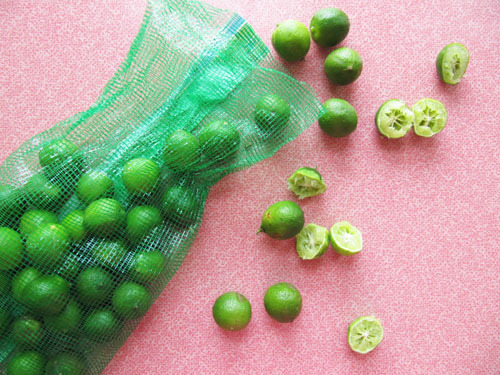 Theese were so easy to make and I love anything with limes. Awesome! And yeah, man. Limes are so lovely!